The decision by the Bolton Council to award a one-star food hygiene rating to Gourmet Burger Kitchen, despite the restaurant’s conditions being described as ‘generally satisfactory’, may serve as a warning call to other eateries to take a look at the options offered on their menu. A food hygiene score of one, defined by the FSA as indicating that ‘major improvement is necessary’, is generally given to those establishments which fail to adhere to standards in terms of cleanliness or safety. In the case of Gourmet Burger Kitchen, it was due to the fact that they offered their customers the option on how they would like their burger cooked. According to the FSA, the decision to offer rare and medium burgers is what landed the restaurant with such a low score, as they were unable to scientifically prove the safety of the cooking methods used. A spokesman for Bolton Council states, “We inspect restaurants and food premises across Bolton under FSA guidelines and award them an appropriate rating. In December, we inspected the newly opened Gourmet Burger Kitchen. “The Gourmet Burger Kitchen premises were clean and well maintained with all the appropriate equipment and facilities and they received a good score for this. “However, under FSA guidelines, food businesses selling what the FSA class as less than thoroughly cooked burgers must show their supply chain and must scientifically prove that their cooking method is safe and GBK was not able to do this. 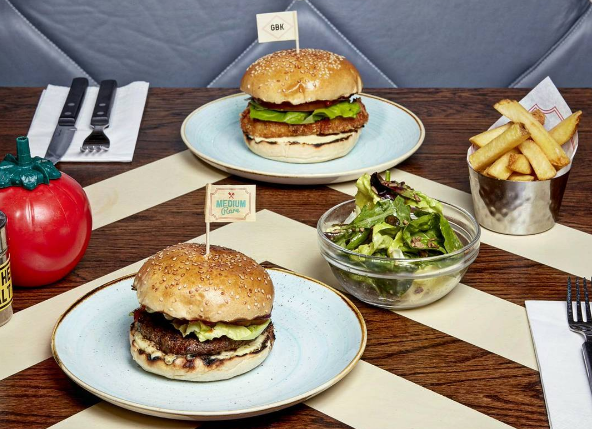 Tim Molema, head of food at GBK, sought to reassure customers after the rating was given, stating that food safety within the restaurant chain was of “paramount importance”. He told Bolton News, “All our restaurants are subject to rigorous quarterly, unannounced, external inspections as part of a routine auditing programme, as well as internal audits from senior management. “This allows us to continually monitor standards across the board.